Looking for an affordable Melbourne translation services provider that is NAATI accredited? With OPAL Translation you receive high quality, accurate and error-free translations. Opal Translation is Melbourne’s largest online translation service provider – NAATI certified! You can contact us directly via the Live Chat below. We have customer service representatives who are eager to serve you and answer your questions. So feel free to chat with us, we are available 24/7 to assist you with your needs. Finding a NAATI Melbourne Translator can be difficult, particularly, how do you know who you can trust for your important translation?Get a free quote today when you complete our enquiry form on this web page. We will email you a firm quote in 15 minutes! How great is that? At OPAL Translation, we work closely with our clients to provide quality and reliable Melbourne translation services that will not only satisfy their requirements but also exceed their expectations. For more than five years, we have only finished translations that have a 100% acceptance rate by authorities who ask for NAATI certified document translations. We have translated hundreds of documents for individuals, government, businesses, law firms, community organisations, marketing agencies and immigration courts. Are you looking for Melbourne translation services? Look no further than OPAL Translation. Here are some of our frequently asked questions. We hope these will help answer your own questions. Do you provide NAATI certified translations? Yes, we do. Our translations are all NAATI certified thanks to our highly-skilled NAATI accredited translators in Melbourne. If you are planning to submit your translations to authorities for official purposes, it’s best to ask them their requirements. If NAATI certified translations is on the list, you’ve come to the right place! Let us help you with your translation needs. 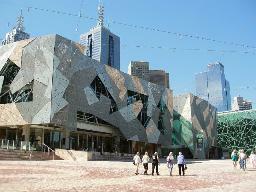 We provide Melbourne translation services in all languages. We support translations from any language to English and English to any of the languages below. Some of the most favoured language choices for our Melbourne clients include Vietnamese, Chinese, Arabic, Spanish and Greek. Our experienced translators are all NAATI certified, so you are confident that your translation is free from any embarrassing mistakes. We translate any document type. We have translated thousands of documents such as degree certificates, birth certificates, driving licenses, diploma certificates, ID cards, and marriage certificates. Personal document translation is a speciality of our Melbourne translation service. Of course, our professional translation services are not just limited to personal documents. A large segment of our projects are larger business and government-related translations. Depending on the document’s length, it takes our translators to finish one document in 2-3 days using our Standard Melbourne translation services. If you are in a hurry, we provide Instant and Express Melbourne translation services to accommodate your deadline. Just inform us of your deadline via our enquiry form or our 24/7 chat support. We’ll be happy to help you. Fox lovers rejoice! Melbourne is the fox capital of the world according to RSPCA. Per square meter, there are 6 to 23 foxes in this urban part of the city. If you choose to travel here, you’ll still have a hard time seeing a fox. Before, residents of Melbourne took a bath at the Yarra River, the sea and some city baths. If you are interested, there are still around 1,800 private bathing boat sheds and boxes around Brighton. After one of its founding fathers, John Batman, Melbourne was supposed to be named ‘Batmania’. Throughout the world, Melbourne’s tramway system is the fourth largest and the largest outside of Europe with a 244 km of track and has 450 trams. 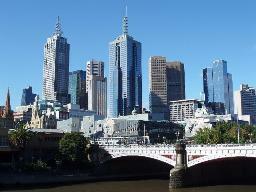 From 1901 to 1927, Melbourne was the capital city of Australia. Do you need a translation service today? Get a free quote by completing the translation form found on this page and receive a firm quote in just 15 minutes!